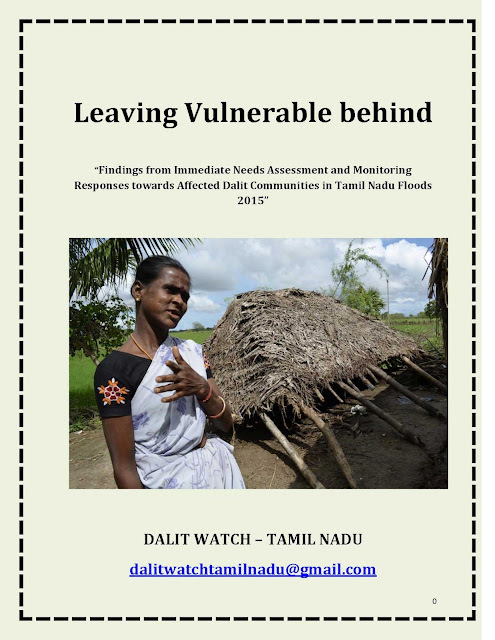 A large number of people affected by disasters, in India, are excluded from just recovery and rehabilitation due to various forms of vulnerabilities posed by social stratification and discrimination based on caste, gender, age, ethnicity and sometimes religion. Such discrimination and exclusion that exist in society gets magnified during calamities. National Dalit Watch, since 2009, is working to eliminate these forms of discrimination by advocating active recognition of caste induced vulnerabilities by humanitarian stakeholders to make inclusion in Disaster Risk Reduction a reality. National Dalit Watch of NCDHR. Simple theme. Theme images by luoman. Powered by Blogger.